And — drum roll — it is now officially on sale! Please order at www.PortVintages.com. A note about process. The book is not yet printed. Pre-orders are being gathered, and that’s how many will be printed. So it won’t be in bookshops; it’s going directly to out of print. Please order before it does. The plan is that Port Vintages will be delivered in December. Excellent, Julian - well done! Superb! Huge congratulations. Order placed. A big congratulations to you Mr. Wiseman! Hopefully you might venture back state side one of these days! Looking forward to utilizing the book! Congrats Julian. Order placed, a holiday present I am looking forward to receiving and using!!!! I agree with G-man about returning for a visit. Unrelated great seeing sushinorth and gman this past weekend. Horray, will spread the word on the continent. Excellent news, and congratulations. Hope it sells well. My order placed. Signing? The books will be printed in Glasgow, and distributed from there. So not before arrival. But books brought to tastings can of course be signed. Decide in advance what you want written in the front. People: please do market this to wine aficionados you know. I really want it to be owned and used by those with an interest in its subject: please help me reach them. This book sounds tremendous - I’ve ordered. Well done to the author. Best part of this book is that i'm going to use it as a checklist and have my fellow port lovers signature bottles shared together! I ordered two so one I can read and one I can keep in new condition. 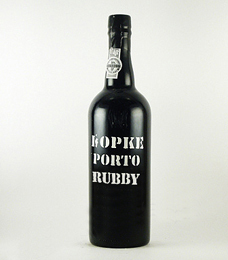 With the hope that one day when I’m old I can pass it on to a deserving younger Port lover. Great plan. Don’t forget to add the date drank. Terrible plan. There is little chance of tasting a large fraction of the ≤1900 Ports in the book. Please do, often and well. And please let me know where done. Thank you. Could you create a stand-up cardboard mock-up of the cover or contents page and some blurb (plus a link to portvintages.com) and then ask if you could leave it in places like the B&F, Bar Douro on a notice board or the end of the bar? Hopefully the offline will not be "ten years in the making"
Well done Julian - it's been a long time in the making..
Just had a look at the ordering page..
..what's the TPF discount code?? Perhaps just after everyone get's their copy so it could be a "Book signing by the Author" event as well. You could require each person getting it signed to give a glass of aged Port to the author and anyone who did any proof reading, supplied pictures or any other involvement, however slight.